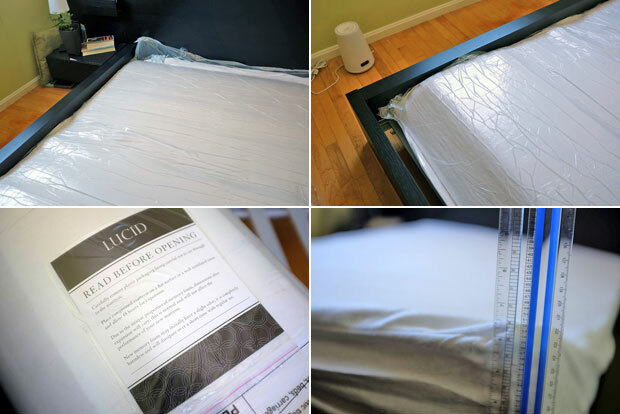 Many years ago we experimented with adding a memory foam layer on top of a futon mattress. That combo worked pretty well until the foam layer started to tear. We replaced it with another one, but we were disappointed that the foam only lasted about two years. 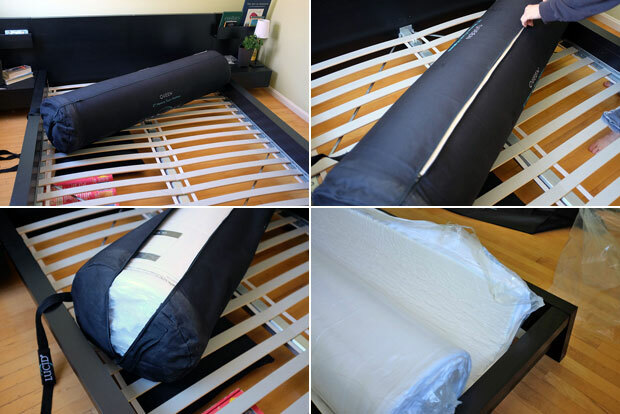 We then tried replacing both the foam and futon with a thicker “foam-in-futon” mattress, but were never as happy because it did not conform and support as well as the memory foam. However, we were too tired, lazy, and/or busy to go shopping for a replacement. Besides, “trying them” in a store is a waste of time as you can never tell how a mattress will really feel without sleeping on it for a few nights anyway. 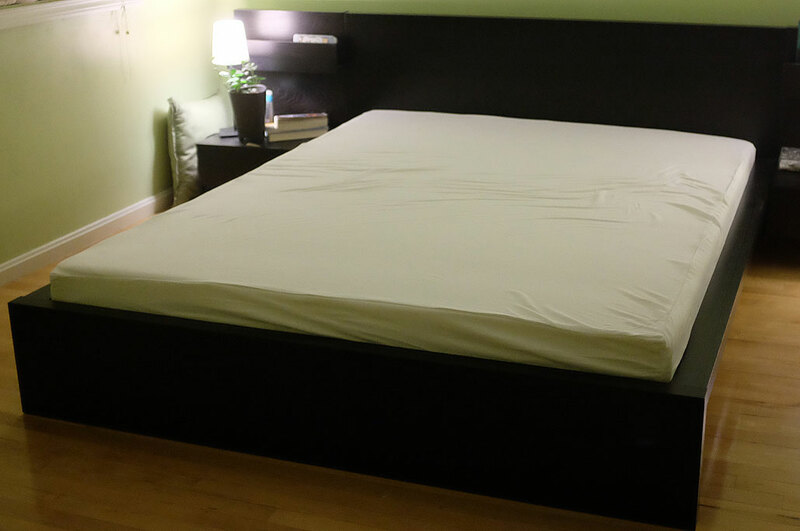 Cost – We wanted to spend less than $500 for a queen size. 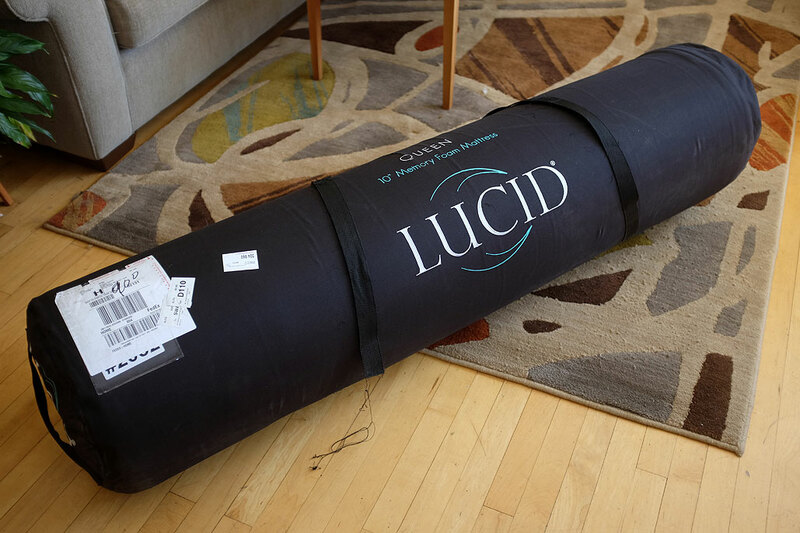 While the queen size LUCID mattress lists for $800, it is available for much less online with FREE SHIPPING. The one we got came in well under our budget and arrived in less than a week. The mattress was sent inside a custom-fitted cylindrical transport sleeve and weighed close to 100 lbs, but with the grab straps at the ends, the tube was easy for two people to pickup and carry around (up a flight of stairs, even). The interns were eager to get the existing futon off the IKEA bed frame and put the new memory foam one down for a “test nap.” Having handled compressed memory foam in the past, we knew that just “letting it loose” was not the best idea. 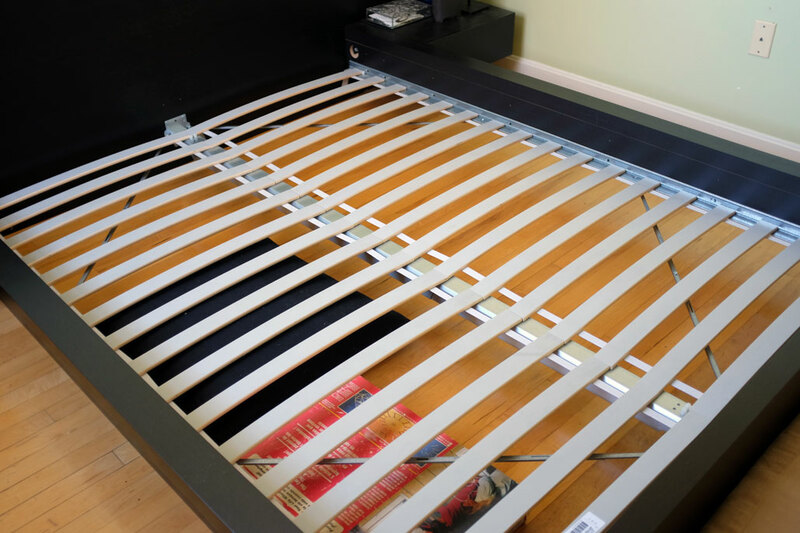 It would be best to put the mattress on the frame before removing it from its packaging and letting return to size. 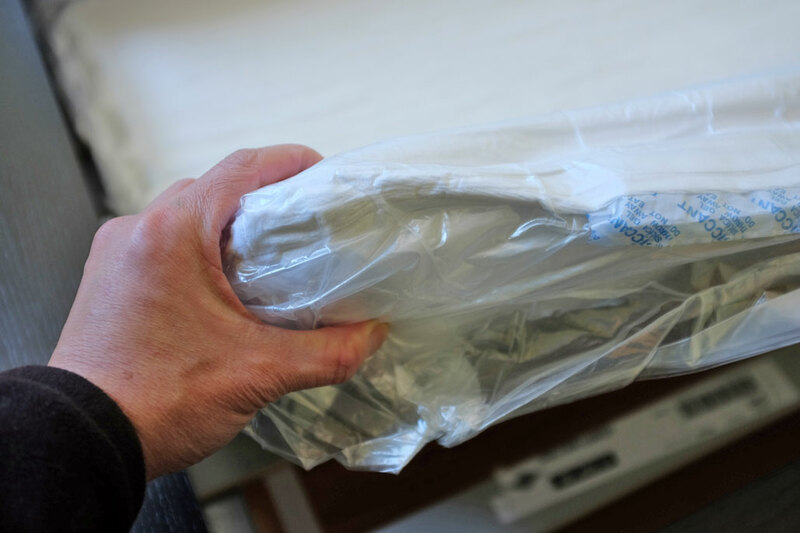 Unzipping the bag and taking out the mattress was very easy as the foam was double wrapped in plastic. The first wrapping kept the mattress in a roll. The second wrapping sealed out the air and kept the mattress from expanding. In order to unroll the mattress, we had to cut the first layer of plastic wrapping, taking care not to nick anything unintentionally. The vacuum-packed foam was about 3″ thick and unrolled easily. The fit to the frame was perfect, but as it had not yet been removed from the plastic, and did not expand. Once the plastic was removed, it doubled in size in a matter of minutes. This was one reason why it is best to do it directly on the frame. While the LUCID foam is CertiPUR-US® certified, and was made with no prohibited phthalates, no ozone depleters, no CFCs, no mercury/lead/heavy metals, no formaldehyde, no PBDEs, and had low emission (VOCs) for indoor air quality, it still had a slight chemical odor (though harmless) for about a day and a night until it attains its normal size. After five hours, the mattress had attained about 90% of its size and the odor had pretty much dissipated. We are looking forward to enjoying this new mattress and will report our findings on the LUCID mattress by the end of Spring.